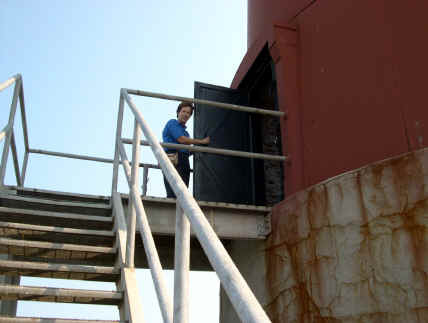 Sue Bennett of Milford, DE, (above) unlocked the cast iron door at Delaware Breakwater East End Lighthouse on Sept. 7 for a special tour sponsored by Delaware Technical and Community College's 55-Plus program. Ms. Bennett is the great grand daughter of Keeper Willard H. Hall, who was one of the first keepers at the East End light, from 1885 to 1895. 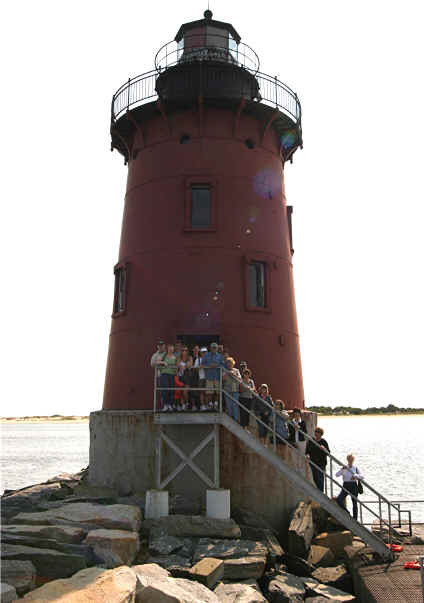 Fifteen participants of the DelTech group and a few others (below) enjoyed a perfect day for cruising to the East End and Harbor of Refuge lighthouses.